While most businesses see the value in investing in Customer Relationship Management software, Lead Management software is overlooked and slips through the cracks. Salespeople busy closing deals can forget about potential leads looking to buy in the future, leaving money on the table. 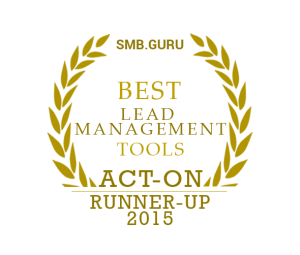 Our top performers, Leadsquared and Act-On, were very closely matched. Leadsquared is lower priced and with a wider range of features (including pipeline management), while the higher priced Act-On offers fewer, but more powerful options. Leadsquared also integrates perfectly with call handling and live chat, winning it the Category crown. Fileboard and Fliptop performed poorly in our battles, but for different reasons. Fileboard is a great budget option, although its leads management features may be too stripped back for larger businesses, and call handling is not directly integrated. Fliptop is a premium option at $2500/month and its lead scoring is particularly advanced – but not a cost effective solution for non-enterprise businesses, and lost battles on value for money. Velocify and Leadmaster are both good all-rounders for a business starting out at prices that won’t break the bank. Leadmaster also takes on more CRM features than others which focus simply on lead management. Our Lead Management Category winner LeadSquared can be labelled Best & Cheapest. It is Best in Lead Scoring as well as Call Handling & Live Chat. Offering a rounded package for the online-SME, Act-One’s features include SEO optimisation for websites and marketing, and integration with an array of CRM apps. A cloud-based lead management solution offering a good array of features to the early-stage SME, LeadMaster promises to be a simple yet powerful tool to optimise marketing automation and sales lead management. Fliptop won 0 of 5 comparisons. Want to get latest updates in your box? Subscribe to our mailing list now! See the Lead Management software news and reviews first. Have a question about choosing the right Lead Management software or service? Ask our experts! Didn’t find what you were looking for? Try our search!